One new school board member was seated at the May 2, 2017, Batavia School District 101 Board of Education meeting. Four 4-year seats on the board were up for election. Incumbents Jon Gaspar, Sue Locke, and Tina Bleakley were re-elected. Newcomer Bob Baty-Barr also won a seat on the board to replace Jason Stoops who did not run for reelection. 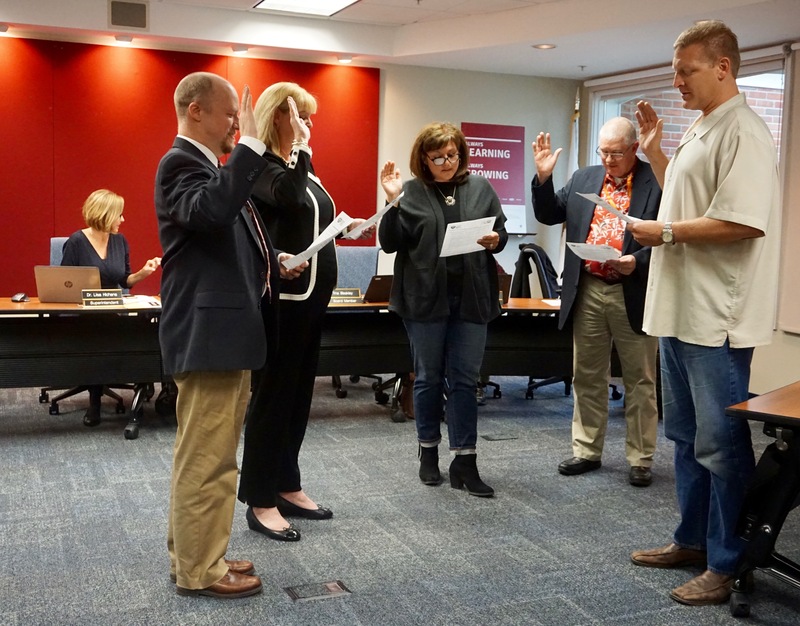 Newly elected school board members will serve under President Cathy Dremel with Jon Gaspar serving as Vice President. BPS101 Superintendent Dr. Lisa Hichens will continue to serve Secretary and BPS101 Chief Financial Officer Tony Inglese will remain as Treasurer. All meetings will begin at 7 p.m. at the Rosalie Jones Administration Center.